Arm supports projectors up to 25 lbs. The overall weight of the wall mount with cart is 220 lbs. 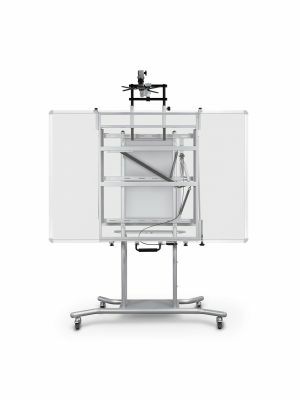 The Balt 27640 elevation mobile cart for interactive whiteboards that supports mobility and flexibility for various projectors. Supper short throw projectors can be attached on the projector arm and it should have a maximum weight of 25 lbs. The 27640 elevation mobile cart has a silver frame which is presentable and ensures durability for years. 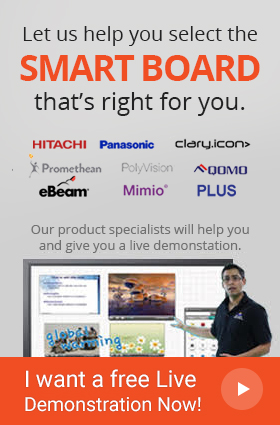 Having a cart that supports interactive whiteboards as well as projectors in offices and other boardrooms will definitely make work easier and interesting. If the elevation whiteboard mobile cart by Balt needs to be shifted from one room to another safely, then simply move it with the help of the four heavy duty casters which contain locking brakes to keep the cart at its fixed place while it’s resting. AV equipment shelf is included with the cart. Additionally if board accessories needs to be stored then you will have to buy a locking cabinet which is made available in the most affordable prices. It will not only secure but store the accessories in an appropriate space. If the optional side wing arm is bought, it will keep the laptop right beside the interactive whiteboard, so the user does not have to reach out for it separately. Q. Does Balt elevation mobile cart come with warranty? Q. Does the Balt elevation mobile cart hold displays more than its weighing capacity? A. Yes, the Balt elevation mobile cart can hold displays more than its capacity, however it is always recommended to use the carts of required capacity. Our store offers carts that accommodate all kinds of displays. Q. Where can I use the Balt elevation mobile cart? A. 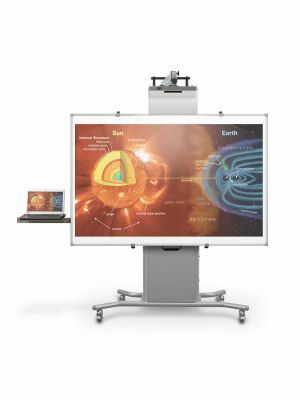 The Balt elevation mobile cart is ideal for every kind of industry such as business environments for presentations and seminars and class room environments for lectures and collaborative discussions. Q. How can I clean the Balt elevation mobile cart? A. In order to clean the Balt elevation mobile cart, use the wet and soft sponge and lightly rub over loose dirt.